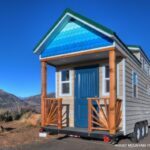 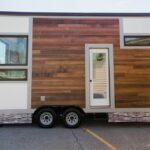 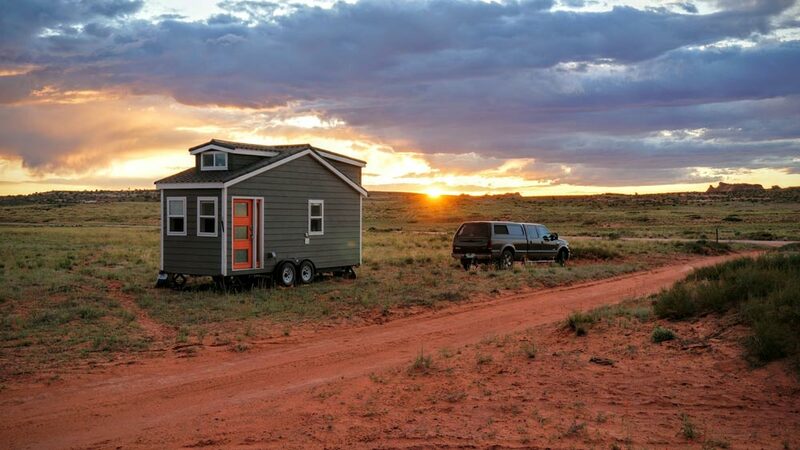 The Wanderlust is a 20′ tiny house based on Tumbleweed Tiny House Company’s Linden model. 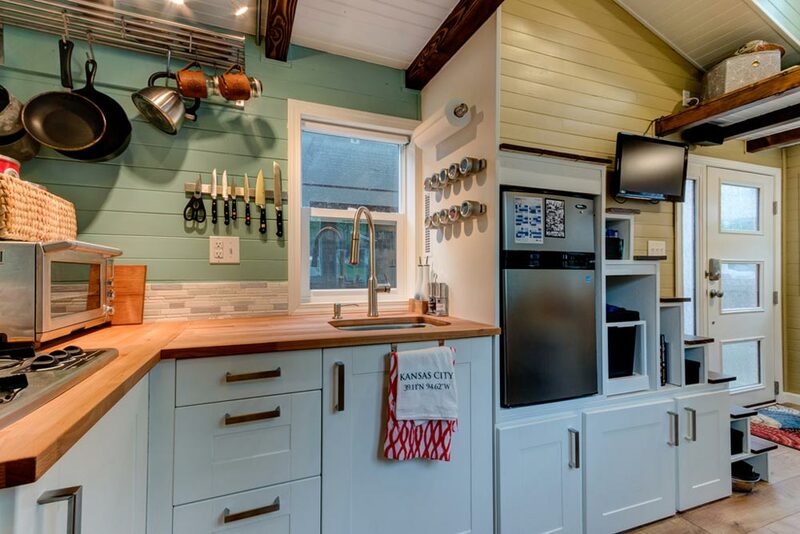 The owners, Patrick and Lauren, had Tumbleweed modify the layout to meet their needs, then bought it as a shell so they could complete the finishes themselves. 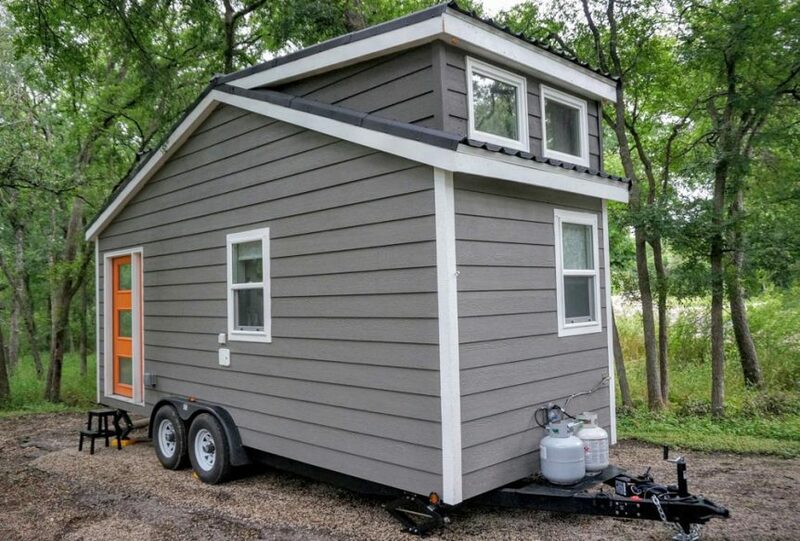 The exterior is clad in LP Smartside lap siding painted grey with white trim and a lightweight Onduvilla roof. 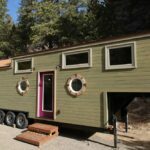 Inside is a large couch with three ottomans that store underneath. 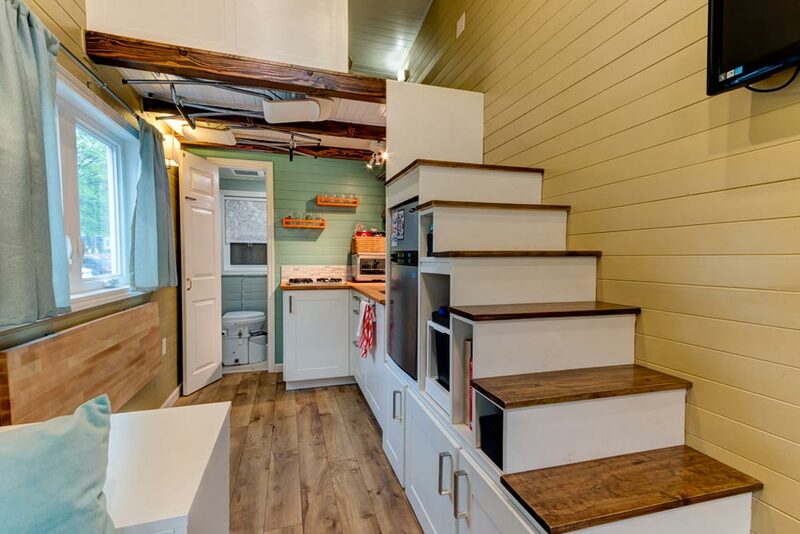 The storage stairs include a slide out drawer and a mini fridge, and a storage loft provides another large area for their belongings. 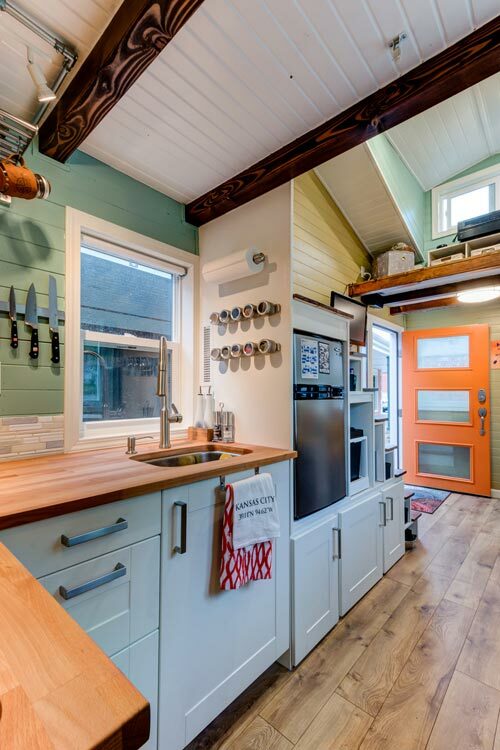 A fold down dining table is set up in front of a large window and collapsable chairs are stored overhead. 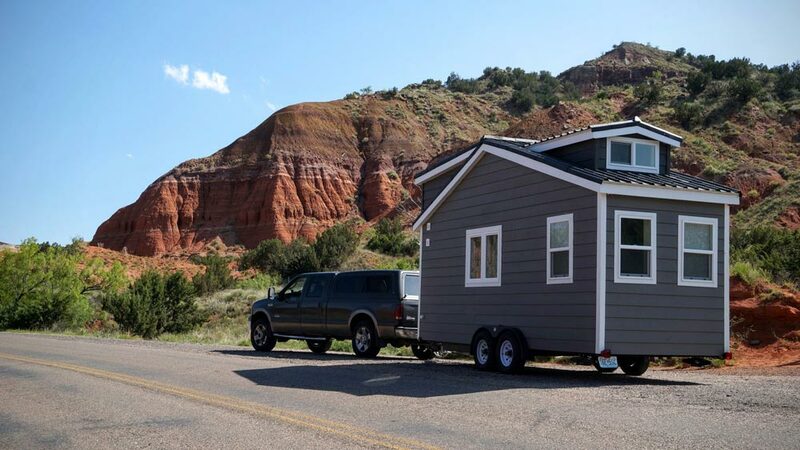 The queen bed in the loft is positioned so their heads are at the highest point of the house, which is in the center. 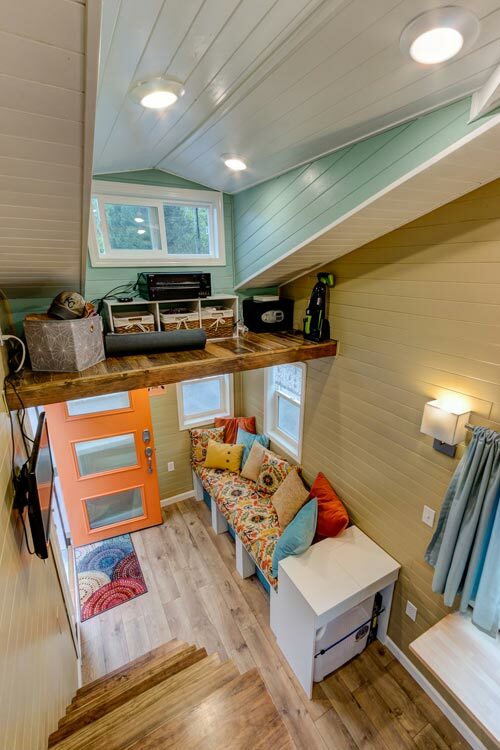 Two windows at the far end of the loft allow for ample light. 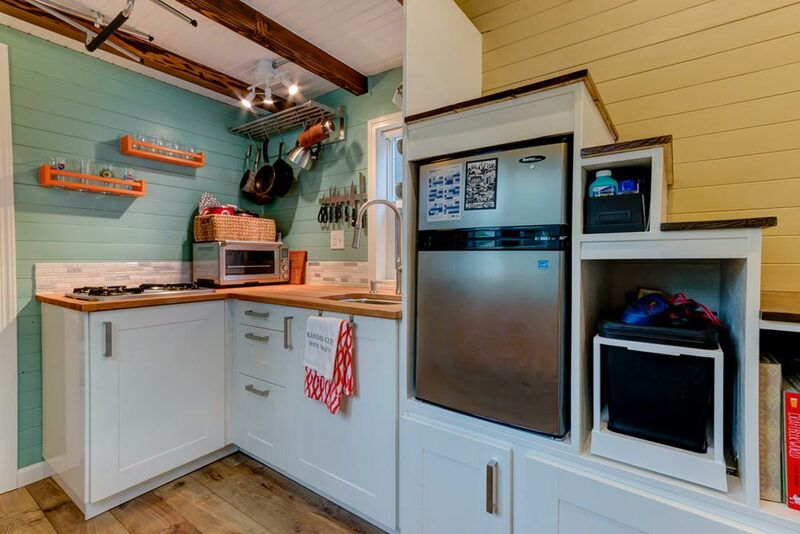 The kitchen features Ikea cabinets, a three burner propane cooktop, and a convection toaster oven. 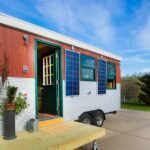 With the solar panel, battery, and water storage tanks, the owners are able to go off-grid for at least a couple days at a time. 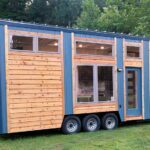 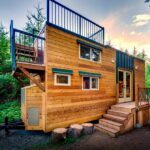 You can view more about the tiny house and Patrick and Lauren’s travels on their blog, Wanderlust Tiny House.